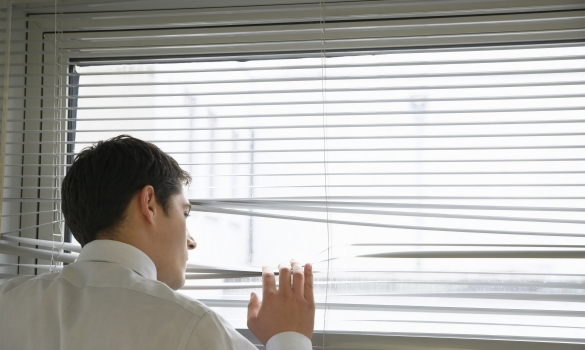 The cost of blinds is probably not the first expense business owners have on their minds. If you are like most business owners, you have a whole lot of expenses to worry about. To list a few, business owners have to manage payroll, rent, materials and marketing expenses. Why would the cost of blinds be important to a business owner? Below, the importance of the cost of blinds for your business, how much you should spend and why it is or is not worth it. Usually, homeowners have a more standard window, living in a residential area. On the other had, business owners purchase commercial blinds. These blinds are fitted for office space, industrial or company warehouse windows. As you can imagine, the types of blinds available are quite different from the traditional blind purchase of a home owner. Depending on the company’s location, the business owner will have to choose from the following accordingly. Commercial blinds include aluminum blinds, faux wood blinds, vinyl and PVC blinds and more. Additionally, business owners may opt for blinds called roller shades, available in solar and blackout selections. Clearly, commercial blinds are available in several types. Having so many types, materials, sizes and varieties, the blinds cost for a business can quickly skyrocket, especially for a medical business. The cost of blinds can be measured by window, blind or size alone. While some small businesses might spend $200-$1000 for blinds and installation, enterprise corporations could bid out contracts for over $5000. To get the best price on blinds, business owners wisely shop between competitors to find a deal. There are some commercial blinds solutions that offer flexible financing for businesses. This is important to note when it comes to figuring out blinds costs for business. Financing makes it possible for all businesses to afford commercial blinds for their building. You can buy blinds in bulk and finance payments over 6 months to a year. This free financing accrues no interest. So, you do not have to worry about higher blinds cost in the end. This is certainly important to keep in mind when finding and estimating prices for commercial blinds for business. Blinds also must be cleaned and maintained, just like an automotive business. After all, if you make a purchase to improve the working environment, the blinds have to last. To fill this need, window blind cleaning companies will charge per square foot to clean blinds. The cost can run from $10-$50 per blind, depending on the size. To avoid these costs, a business owner can choose to have a regular cleaning service take care of the commercial blinds too. Instead of looking at it as just an expense, the business owner can identify the benefits of blinds to the business overall. For example, high quality blinds allow employees to better manage lighting in the work space. As a result, employees are more productive and the environment is easier to work in. The business owner benefits from the increase in productivity and improved office dynamics. When the cost of blinds are considered an investment, you are probably more willing to make better decisions for the business profitability rather than simply cutting costs. In addition to purchasing blinds for your business charity, entrepreneurs also have the opportunity to use these window treatments as an opportunity for income. There are a number of blind installation, window installation and window treatment franchises that you may want to look into. These franchise opportunities are some of the best, offering you to luxury of working out of your own home, which lowers your startup costs. If you are handy, you may want to take advantage of this premier business opportunity. If you are not lucky enough to have any trades skills, you still have the opportunity to make money. For a relatively low initial investment, you can open a shutter manufacturing or blind manufacturing business. As mentioned above, there are many different varieties of blinds and shutters being produced. Wood shutters are surprisingly no longer the only type available. That means that you can start a new business with the luxury of choosing the cheapest types of blinds to produce. This is an especially great manufacturing opportunity for business if you know someone who owns a construction business or interior design business. If you want to make money off windows, plantation shutters, awnings or similar, consider taking a dip into the manufacturing industry.